"Only those who have the courage to give of themselves totally to God and to others are able to fulfill themselves"
Who do you want to be? Have you achieved it? Are you close? As I reflect on what and who I want to be, it becomes clear and simple, I want to be a saint. This must be the case for all of us, to wind up anything less than a saint is to not to fulfill our nature. What do I mean? Well, everything that is created tends toward the perfection of its nature. What's the perfection of our nature? It's super! Supernatural that is, a nature that through the grace of baptism can be a saint in Heaven with God. When a person acts in accord with God the purpose of their creation they are fulfilled; they achieve the purpose for their existence. On the contrary when a person does not act in accordance with the purpose of their nature they in turn remain unfulfilled. To put it bluntly, when we do not act saintly the effects are twofold: our actions cause harm and we become less-human. To be a saint through the grace of God is to raise our existence to it's utmost potential. "Virtue, in quite a general sense raises the level of existence of the human person...it is the ultimate of what a human person can be; it is the fulfillment of man's ability to be - in the natural and supernatural sphere." When we are and act as the person God calls us to be, we are "fully alive" and can change the world. And so this brings me to share a wonderful experience I had of witnessing the daughter of St. Gianna Molla testify to the sanctity and FULL humanity of her mother. 1. "Mamma's holiness is popular because it is simple and accessible to all"
Gianna Emanuela explained through her mother's example that holiness is possible and it is a call for all of us. Too often we look for miracles for God to prove himself or miracles of huge proportion to make us change. What St. Gianna models for us is the miracle of insignificant acts that lived out daily with full love result in transformation. Sometimes I think we forget that the basics of the Christian life (prayer, frequenting the Sacrament of the Eucharist and Reconciliation, works of mercy, reading Scripture) are what, through the grace of God, make us Saints. There is not a Saint who did not have a love for the Virgin Mary. There is not a Saint who did not meditate on Scripture. There is not a Saint who did not love their neighbor. For St. Gianna, the menial tasks of life were a great joy, because it was through these "small things" that she could love the Lord and love her family. Holiness is the ladder to sanctity, it is a safeguard and road to our ultimate existence in Heaven. 2. 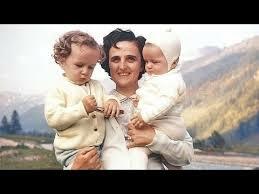 "The Way of the Cross for Mamma was also a Way of Joy"
St. Gianna Molla lived and died for her children...daily. She did so with great joy. It was, though, in her fourth pregnancy with Gianna Emanuela that Gianna, "loved until the end" (John 13:1), that against the advice of doctors, she chose the life of her child over her own. This was not a one time decision. Gianna had to make this choice daily as she endured the sufferings of a painful pregnancy due to complications from a fibroma. In my own estimation as a father, the physical pain paled in comparison to the suffering St. Gianna faced knowing her sacrifice cost her raising her children and spending many more wonderful years with her husband. Her husband Pietro echoed these sentiments, "When such a choice would cost you so much - you who loved our children, your husband and life itself!" Suffering is pointless and unendurable condition by itself. 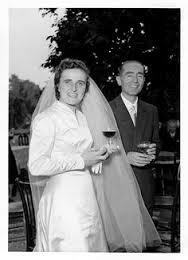 St. Gianna knew it was never a solitary condition though, it was always the, dare I say, deepening of her love. The Way of the Cross is a journey of suffering, but is a journey with He who bore the Cross for our sake. Jesus' sacrifice on the Cross out of love for us reorients our suffering, and ultimately our life. When we know the gift of the Cross, we can begin to know the joy of life amidst any circumstance. 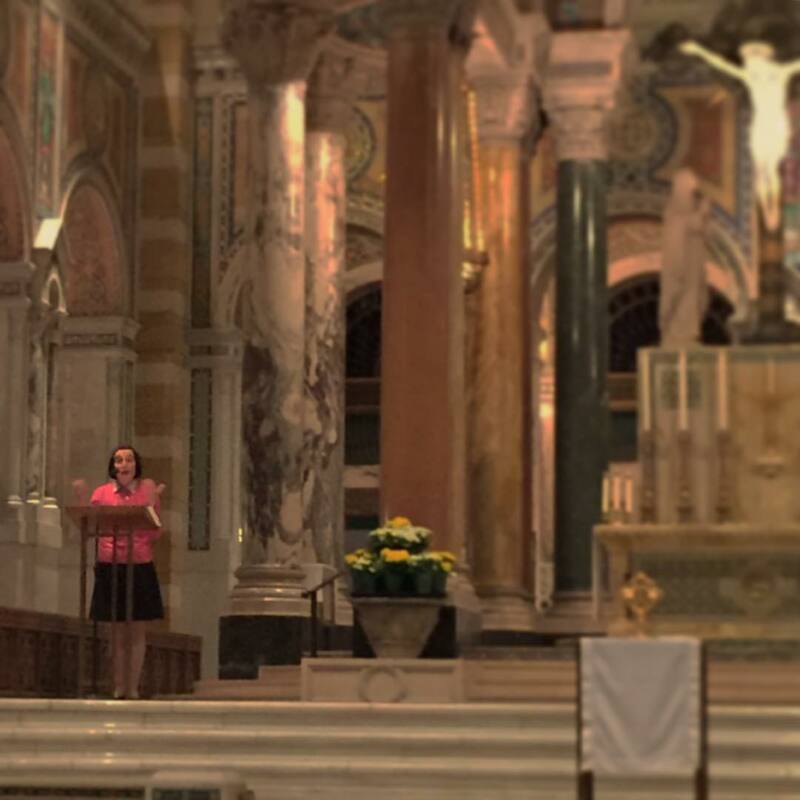 Gianna Emanuela described her parents' Way of the Cross as a Way of Joy when she said, "It is the most profound joy that is a prelude of a bigger joy — to be able to reach paradise one day and forever." The joy of following Jesus is the joy of spending eternity with Him. St. Gianna's greatest gift was sharing this joy with her family; with us. 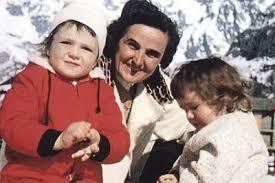 Please read and share the story of St. Gianna Molla. Here's a few links to her bio and how you can help preserve and create a place for many more to discover this Saint's holy beautiful life. An effort is underway to restore sites in Ponte Nuovo, a small suburban village near Magenta, Italy, where St. Gianna Beretta Molla lived and worked.The project will include the creation of the St. Gianna Beretta Molla International Center, which will serve as a place of prayer, study and spirituality for pilgrims from all over the world. The St. Gianna Restoration Fund has been set up with the National Catholic Community Foundation, a United States-based community foundation. Contributions are tax-deductible. Visit www.NCCFCommunity.org to make a donation. Gift designation should be made to St. Gianna Restoration Fund. For more information on the project can be found at the website of St. Gianna Parish in Wentzville, MO:www.stgiannaparish.org.